Team 91 Texas started as LI-Tex Elite lacrosse (Long Island “LI” instruction in Houston, Texas “TX”) in the summer of 2012. Over the years, while searching for more efficient methods to bring the best quality of lacrosse coaching to the lacrosse players of Texas, LI-TEX Elite underwent many changes, such as name changes (e.g. Sienna Panthers Lacrosse, Claws), information technology improvements, practice planning improvements, etc. More importantly, the level of lacrosse training improved each year. In the summer of 2015, Team 91 Texas - under the name of the Claws, took 16 fifth and sixth graders to New York to compete in summer tournaments. These 16 Texas lacrosse players made a huge impression on the New York select lacrosse community and after their summer performance the Claws team was approached by multiple national select lacrosse programs to join forces. When Team 91 Lacrosse and the board of the Claws met to create Team 91 Texas, the excitement in the room was electrifying. They knew that together they could bring the best and most current select lacrosse training to all the players of Texas. From 2012 to today, the goal of Team 91 Lacrosse has remained the same – bring the best youth lacrosse players of Texas together onto select lacrosse teams and travel to fall, winter and summer tournaments in order gain exposure for our players. Team 91 Texas flies current youth and college coaches from New York and Maryland into Texas to train its lacrosse players. Because the game of lacrosse is constantly changing, this is very important to Texas select lacrosse players. With current lacrosse training, Team 91 Texas lacrosse players are able to better compete in showcases and combines throughout the country. Why? Because Team 91 Texas players are being taught the same exact things as New York and Maryland lacrosse players. Team 91 Texas flies current youth and college coaches from New York and Maryland into Texas to help evaluate the Texas player’s lacrosse skills and abilities. This is very important to the Texas select lacrosse player because he/she needs an honest assessment of his/her skills versus the same grade player from New York and Maryland. This knowledge allows the Team 91 Texas player the time to work on the necessary skills to improve. Additionally, and because T91TX is run through the Sienna Panthers Lacrosse program, a non-profit entity, T91TX coaches are able to choose the right players for its select lacrosse teams and not simply pick up to a needed number of players in order to generate a profit. By running Team 91 Texas through the Sienna Panthers Lacrosse program, a non-profit entity, Team 91 Texas is able to keep its team sizes small. This is very important to T91TX because with smaller teams more Team 91 Texas lacrosse players get to learn and grow through more “touches” in both practice and in lacrosse tournaments. Additionally, small team sizes makes it easier for the players to network and meet with the New York and Maryland Team 91 lacrosse coaches that often visit and coach in Texas and other parts of the country. By running T91TX through the Sienna Panthers Lacrosse program, a non-profit entity, Team 91 Texas is able to keep prices low. Team 91 Texas knows that one of the most important things for a Texas lacrosse player is networking, which requires traveling and playing lacrosse outside of Texas. By keeping prices low, Team 91 Texas hopes to allow more players to travel more often to prominent lacrosse jurisdictions. Additionally, by keeping the prices low, Team 91 Texas welcomes every, and all, Texas athletes onto its team. This is very important for Texas select lacrosse players, because when surrounded by great lacrosse players, every lacrosse player improves. Team 91 is part of the National Lacrosse Federation (nationallacrossefederation.com). The National Lacrosse Federation is run by six of the leading lacrosse clubs in the country. Its goal is to bring the top select lacrosse programs and players together from all over the county together in order to create the most competitive and enjoyable events. With so many “showcase” lacrosse camps and money being limited, being a member of the National Lacrosse Federation is very important to the T91TX lacrosse player - it reduces the amount of over-priced, low-value camps that the Team 91 Texas lacrosse players attend. T91TX knows that the multi-sport player makes a better lacrosse player. 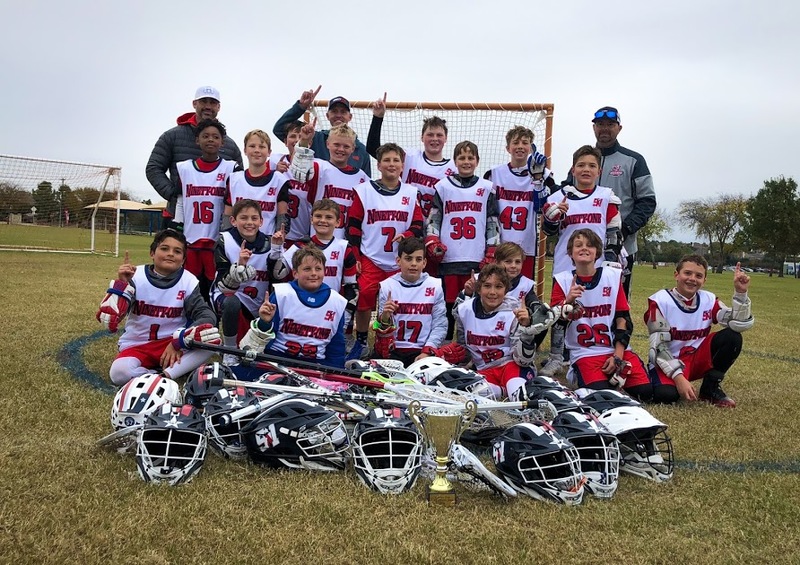 Therefore, the T91TX fall select lacrosse program only has practices on Sundays for 1 ½ hours and offers a regional team option, which only participates in tournaments in the Texas region. T91TX lacrosse players all have the opportunity to be chosen to participate on the Team 91 Texas National Lacrosse Team. The Team 91 Texas National Lacrosse Team is made up of the best Team 91 select lacrosse players and participates in an elite tournament throughout the country. The Team 91 Texas lacrosse players from seventh grade and above are able to take advantage of the Team 91 Texas College Recruiting Program. The Team 91 Texas College Recruiting Program is a “check-list” or a “task-list” of sorts, created by Team 91 Texas for its select lacrosse players, laying out step-by-step what a select lacrosse player must do to reach his/her lacrosse goals.